Assuming you don’t count our robot on Mars, we’re still a single-planet species, so any extra insight into our planet remains pretty fascinating. Such is the case with a new video posted on Saturday by European Space Agency astronaut Alexander Gerst. 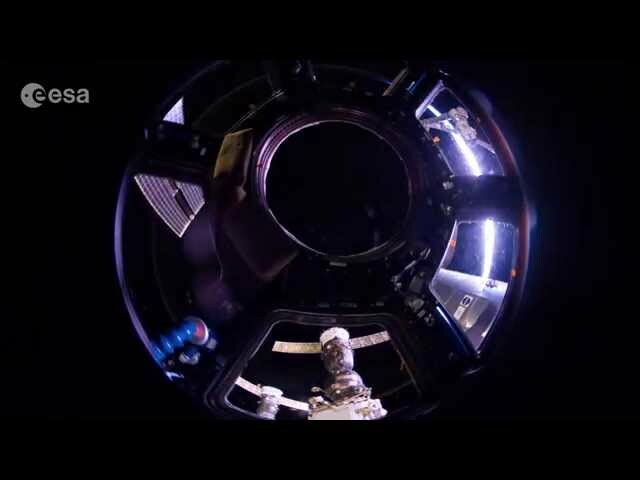 Recorded from on board the Cupola observatory module on the International Space Station, the time-lapse, fisheye-style video shows us what it’s like to watch the rotation of the Earth as it transitions from day to night in just 90 minutes. Hurtling through space at over 17,000 miles per hour as it orbits the planet, the brief space station video is both a reminder of Earth’s beauty and a possible preview of what the view from your bedroom might look like when space tourism becomes the norm.